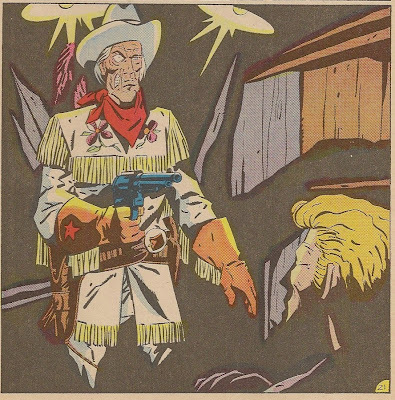 Matching Dragoons: Hex #18 "Thanksgiving"
But that ending...man, that's a punch in the gut. 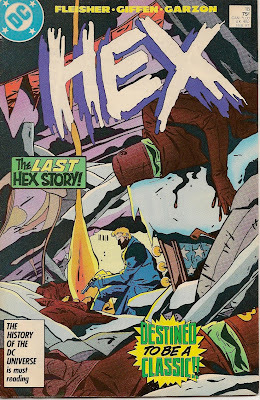 I've seen some discussion, that tries to spin it as yay, Hex will get back to his time. Yeah, and die horribly. Even though you figure Hex probably always thought he'd go out badly, it's another thing to see it like that. Do you know if there was a reason Fleisher decided to leave Jonah in the future? I'd speculate that it was more the choice of DC than Fleisher, especially since he could have written an end in the Secret Origins issue and didn't. 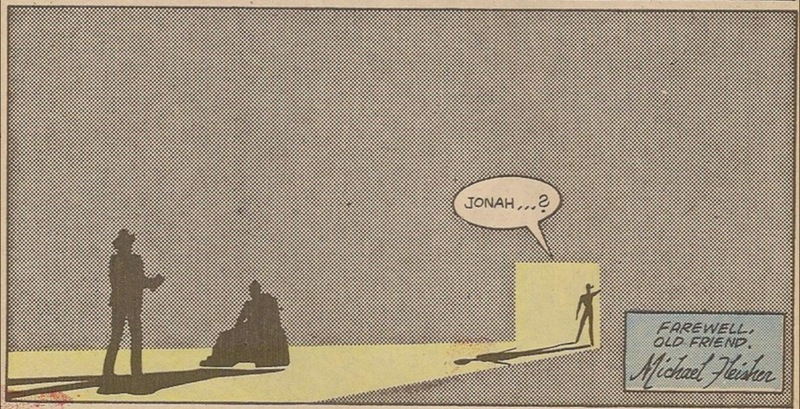 And yes, I did post on the DCMB about what possibly went through Jonah's mind when Farnham held up that costume...it was something to the effect of him thinking that he could avoid the fate he'd seen simply by turning Farnham's offer down. All in all, I do believe that seeing the corpse,combined with his whole future stint, probably would have gnawed at him for the rest of his life on some level. Certainly would have contributed to at least a few drunken nights, I'm sure. I put a lot of my opinion regarding the HEX debacle into "The Long Road Home", so I won't repeat most of it here. Suffice it to say that it could have been a good series, if executed properly. It wasn't, and I really wondered how the whole thing got approved. 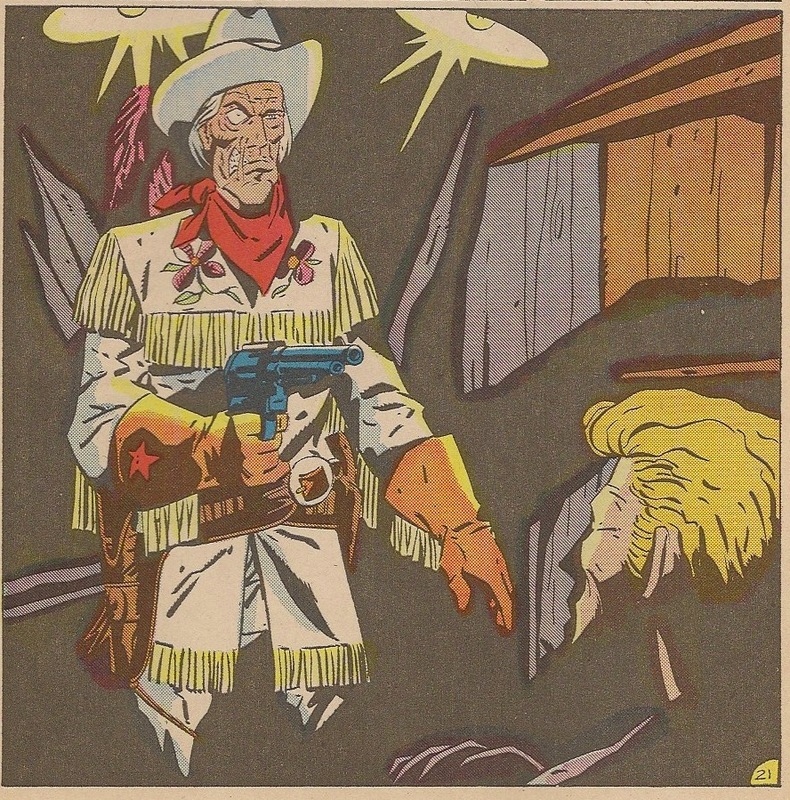 I think Crisis On Infinite Earths is partially to blame, especilly when you take into consideration bits of info I've found over the past 5 years, including an answer I got from a DC exec in a WIZARD lettercol who said point-blank that the HEX series IS tied to COIE...though he didn't explain how. 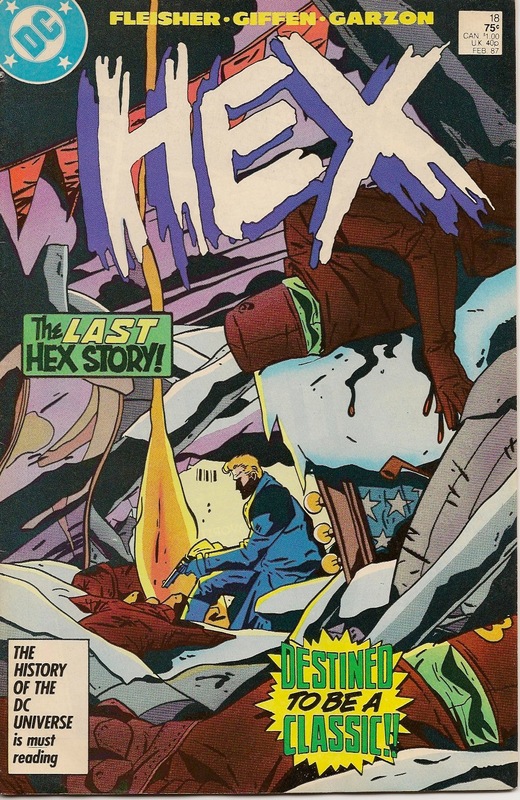 There's other oddities, things that suggest that HEX was perhaps meant to be something else, maybe something bigger or at least better, and it got lost in the post-Crisis shuffle instead. The old man's always gotten the shaft, and this is just another example. I don't really like the whole concept of Hex in the Future, but still...seeing your own stuffed corpse is pretty awesome. And horrible. And fabulous.